The first step to answering a very serious question for anyone engaged in email communication is: How do I get to the top of my customer’s inbox? Quite frankly, it’s the only question that matters when you’re looking for an email service provider. Is every email with your branding on it actually yours? Do you know if any of your emails have gone missing? Are you sending too many emails too quickly? Have you checked your IP mailing reputation lately? Are you enrolled in a feedback loop so you know when emails are unwanted? 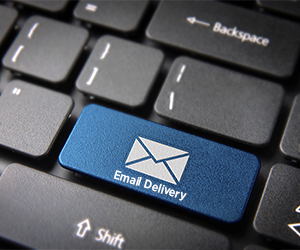 Getting email delivery right matters because it impacts how your brand is perceived and is a critical factor in maintaining ongoing relationships with customers. If your emails don’t get through, you may as well be shouting into the wind. There are plenty of reasons we think SparkPost is the best choice in email platforms, but we don’t want you to take our word for it. This short video provides a quick overview of just how nuanced and challenging email delivery is. About 25% of the world’s legitimate email flows through our platform before successfully landing in inboxes, so you know that we think about these topics a lot. Don’t feel like you need to answer all the little questions yourself. The SparkPost platform will help you successfully navigate each of those challenges. Having some insight into the complexity that SparkPost solves will help you to make the most of our platform (which is free for sending up to 10,000 emails a month). Check out the video below.